It is no news that most times people sing songs without knowing the actual wordings of the songs. In order to deceitfully show that they know the songs, they end up altering the actual wordings of the song by wagging their tongues recklessly. 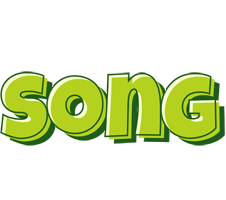 Today I will be showing you two songs Nigerians sing wrongly. Please note the underlined words. I am cocksure 99.9% of Nigerians know this song and they sing it the way it is written above. Even the lady who led the praise section in the church I attended some days ago, made use of the above lyrics. Well, if you have been singing this song like this, you should know that it is wrong. The above version would have been very correct if not for the use of "excellency" instead of "excellent king." Remember me oh Lord my God. I am always overwhelmed with uncontrollable laughter anytime people (especially children and teenagers) sing song two. Yes! Do you know that the place where they shout or echo 'ayaya oh' is actually 'I am your own?' Lol! The funniest part of it is that the children have colonized most adults on this. Well, learning is a continuous process, so if you have been joining these little children to shout 'ayaya oh,' know that correct thing to say is 'I am your own...' Thanks! Thanks Confy! I am sure you are not the only victim.